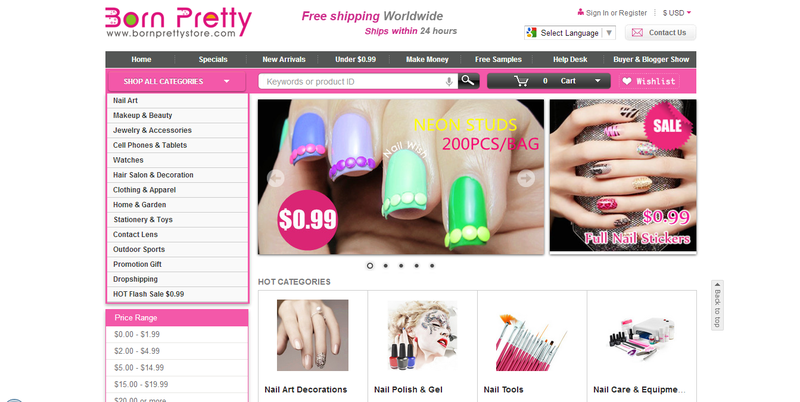 Born Pretty Store is an online store which has all kind of lifestyle things to shop. They have Nail art tools, Makeup and beauty products, Jewelry & Accessories, Cell phone and Tablet, Watches, Hair saloon tools, Clothing & Apparel, Home and garden tools, Stationary and toys, Contact lens and Outdoor sports like bicycle. All the things over there are in cheap prices. They have worldwide free shipping policy which has no requirement of minimum purchase amount value. This helps everybody to access their website and do shop with them easily. They have very secured online shopping and they provide you trendy fashion and makeup products to shop easily and navigation also facilitated for you all very well in their website. Shopping with Born Pretty store made very easy by them like registering and choosing things to add them to the cart etc. They have 30 days money back guarantee. I have seen so many of my blogger friends doing regular shopping with them. They always introduce new nail at stickers and decorations immediately for nail art trends. I have seen that some nail art bloggers are regularly purchasing from Born Pretty Store's Nail Art collections. 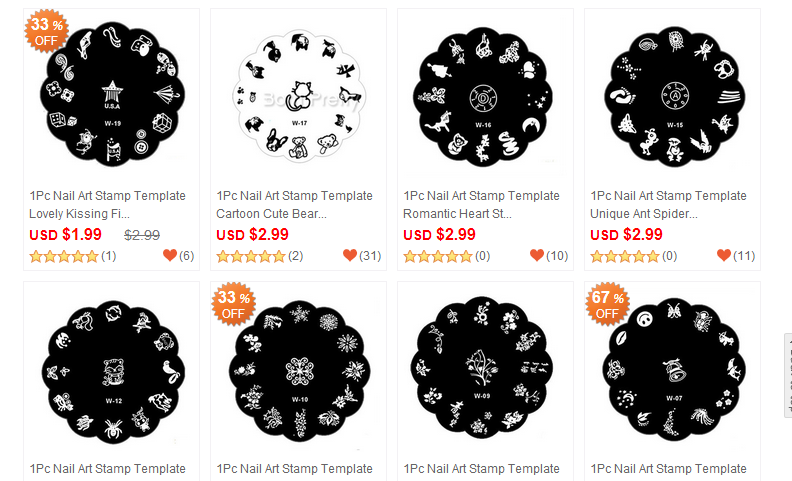 They have pretty and cheap collections like Stamping tools, Nail gel, Nail polish, glitters, All kind of nail art tools and stickers etc. I am sure nail art lovers will do shopping with them a lot as they have huge collections with best price. The collections are pretty and unique. They have amazing collections of Makeup products in pretty affordable prices. 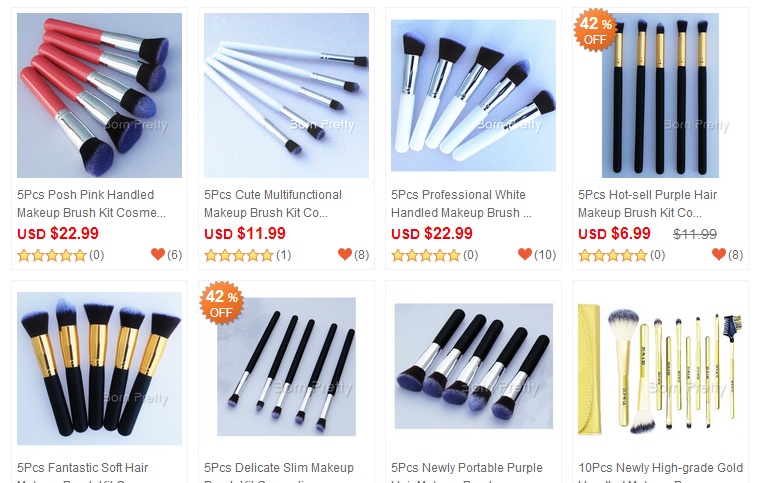 They have so many dupe products for makeup brushes and eye shadows especially in cheap prices. Their makeup brush collections are such a huge one and so many of our beauty bloggers have reviewed them with good impression. Their makeup kit collections are worth to try. Their false eyelash collections are wide and good in quality. You cannot find this much affordable and quality makeup brushes anywhere. Especially their stippling brush collections are good and best for makeup. Have you purchased from Born Pretty Store?